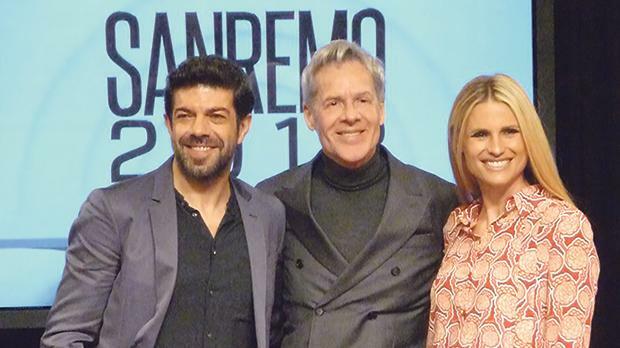 The 68th edition of the Sanremo festival kicks off this evening with a new artistic director and host, Claudio Baglioni, at its helm. The singer-songwriter will be flanked by model and actress Michelle Hunziker and actor Pierfrancesco Favino in the lavish event that runs until Saturday. As is customary, there will be two categories, one for established singers and the other for newcomers. The Campioni (established) category this year features a good number of bands and perhaps unlikely duets. The bands include Le Vibrazioni, who return to the festival after 13 years with a pop-rock song about love from a man’s point of view; young band The Kolors, who are making their debut on the Ariston stage with a song titled after Mexican artist Frida Kahlo; Elio e le Storie Tese who will belch out another quirky song with an alien theme; the band Io Stato Civile, who will perform a satirical song on work life; and Decibel, led by Enrico Ruggeri, whose entry pays tribute to late artist David Bowie. As regards duets, Roby Facchinetti of I Pooh fame reunites with his former bandmate Riccardo Fogli to present a song dedicated to friendship; singers and songwriters Ermal Meta and Fabrizio Moro tackle terrorism in their folkish song, while Neapolitan artists Enzo Avitabile and Peppe Servillo pay homage to their city with an ode to the life of common people. Veteran singer Ornella Vanoni teams up with artists Bungaro and Pacifico in a classic ballad about learning to love oneself, while Diodato and Roy Paci lament about modern technology and invite listeners to rediscover the real beauty of life. Singing solo will be Nina Zilli, who touches upon domestic violence in her tribute to women’s independence, and Red Canzian, another former member of I Pooh, who presents a rock song about life’s challenges. Romance will also be in the air as Annalisa, Giovanni Caccamo, Noemi, Ron, Luca Barbarossa and Renzo Rubino will sing their hearts out in the name of love. So will Max Gazzè, who interprets a love story inspired by a folk tale surrounding a monolith found in Vieste, Apulia, and soul singer Mario Biondi, who is making his Sanremo debut with a jazz-infused love ballad. 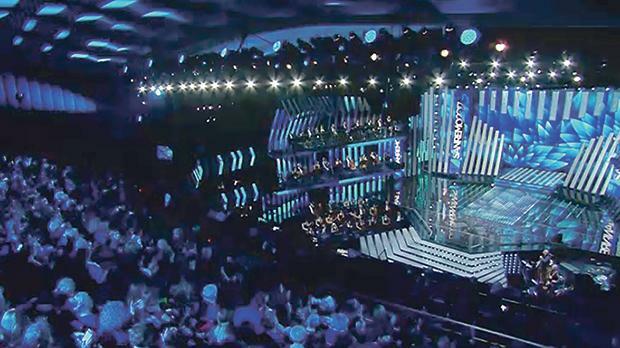 All the singers in the Big category will take to the stage tonight, while the newcomers will start performing tomorrow. Thursday night will be duet night, in which the established stars will reinterpret their numbers with fellow singers. Among the highlights are Decibel with Scottish musician Midge Ure; Le Vibrazioni with English singer and electronic music deejay Skin; Red Canzian with Marco Masini; and Elio e le Storie Tese with the a cappella group Neri per Caso. The festival is also known for hosting important guests, including international stars. Among the names announced so far are British singer Sting, who will perform with Shaggy, US singer-songwriter James Taylor, operatic trio Il Volo, Laura Pausini, Gianni Morandi, Giorgia and Gianna Nannini. The Ariston stage will see many new artistic collaborations this year.